'The main reason is to find the nine missing bodies,' said an official, referring to the $75 mln salvage plan. South Korea prepared on Sunday to raise the Sewol ferry that sank nearly three years ago, killing more than 300 people, most of them children, testing a system to bring the ship to the surface in the hope of finding the last nine bodies. 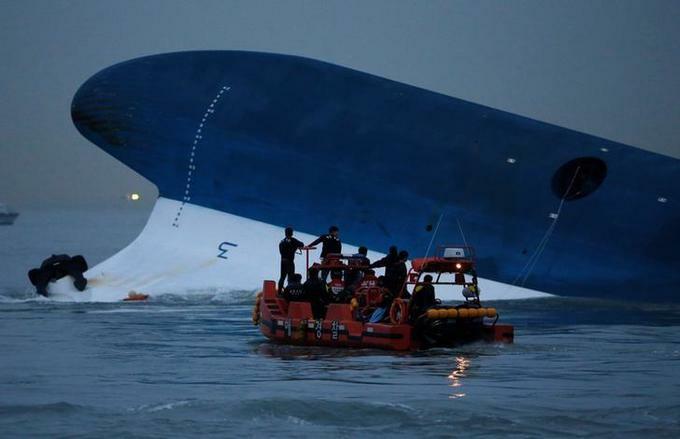 The Sewol, which was structurally unsound, overloaded and travelling too fast on a turn, capsized and sank during a routine voyage on April 16, 2014. It lies at a depth of 44 metres (144 feet), off the southwestern island of Jindo. "The main reason is to find the nine missing bodies," a ministry of oceans and fisheries official, who declined to be identified, told Reuters, referring to the salvage that is costing about 85 billion won ($75 million). A Chinese company has fitted 33 beams beneath the hull, which will be raised by 66 hydraulic jacks, he and a second ministry official said. "We're waiting for the neap tide and when it comes, we'll see what the weather is like and we'll try," the first official said. "We're not making any promises but we'll try," he said. "There have to be low waves for at least three days." The disaster was a blot on former President Park Geun-hye's record in office that she was never able to clear. She was accused of dithering after the initial report came in that the ferry was in trouble, accusations she denied. A representative of a victims' family group said relatives were hopeful. "It's hard to talk about feelings because it hasn't been raised yet but the families are really looking forward to it," the group's representative, Jeong Seong-wook, told Reuters.